Uganda Police Force have issued a public alert concerning a planned terrorist attack next month during the commemoration of an important milestone for the country’s Christian community. Deputy Police spokesperson, Polly Namaye, who briefed the press in Kampala on Friday, revealed that intelligence reports indicate the terrorists plan to camouflage among the pilgrims before completing their attack at Martyrs’ Shrine on June 3rd. She also noted that the latest terrorist scheme comes after several unsuccessful attempts to attack the country. 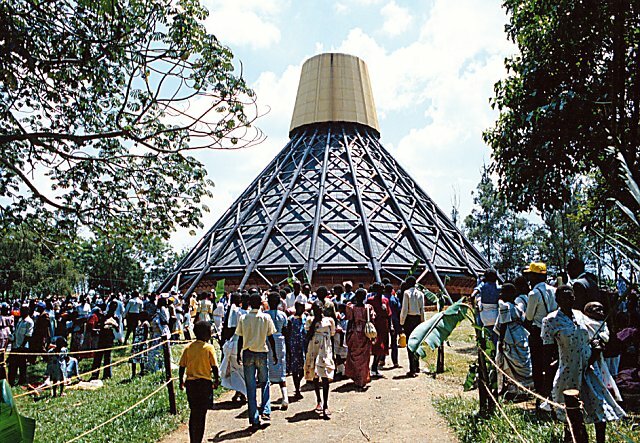 In June every year, hundreds of Christian pilgrims gather to commemorate the execution of some early converts at Munyonyo and Namugongo, Kampala. There has been a lot of apprehension in the build up to the event this year. Especially after the United States embassy in the country recently also issued a warning about planned terrorist attacks on places of worship. The police spokeswoman pointed out that the terrorists are hoping to replicate a similar strike to the bombings in Kampala in 2011 that claimed nearly 80 lives. This assertion has been backed by the Police Commander for Kampala Metropolitan Area, Andrew Felix Kaweesi, who was quoted by Chimpreports recently explaining that the terrorists deliberately target large event to display their power. Local sources say anti-terror police have already been deployed to some churches across the country. Namaye, however, revealed that security operatives have been stationed around the shrine to ensure that the event unfolds without any sour occurrence. She further charged hoteliers and the general public to be on high alert for suspicious persons. al Shabab have vowed to increase its assault on Kenya and other countries – including Uganda – who are providing soldiers for the African Union peace-keeping mission in the country. Meanwhile, Uganda Police Force have kicked off a series of events to mark its 107th anniversary this week. Officials have unveiled plans for a six-month long re-branding campaign to change the image of the service. The campaign is also expected to raise public awareness on several particular areas of interest for the country’s security agencies. The Inspector General of Police, Gen. Kale Kayihura, has told the media that much work will be carried out on the force during this period. He further noted that the force will ensure Ugandans get the security they deserve.